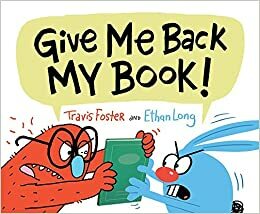 Redd has a book, but Bloo insists that the book is his. While the two are arguing about the book, Bookworm grabs the book for himself. Redd and Bloo have an idea to get their book back. They not only get their book, but they learn to share. This is an amusing story, told through dialogue, that shows the joy of books. This books provides a version of Malala Yousafzai's story that is accessible to young readers. Malala's determination is inspirational. The idea that it's possible to make change through writing is an important one to share with our youngest students. A mouse is gobbled up by a wolf. Within the belly of the wolf, mouse discovers a duck and the two quite enjoy dancing and feasting together where they are safe from the outside world. When a hunter threatens the wolf's life the mouse and the duck must defend their home. This is a quirky, creative, and humorous tale telling the story of why wolves howl. Wallace and Grace have a detective agency and they solve mysteries together. Edgar asks them to help solve the mystery of the ghost in the garden. 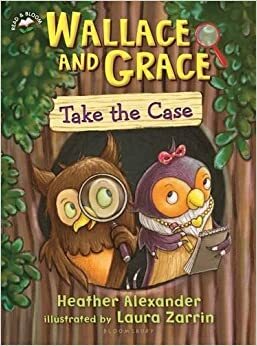 Wallace and Grace solve the mystery, but they also reveal an adorable surprise that will delight young readers. I think many early readers, those who like mysteries and animal stories, will find this a fun read. 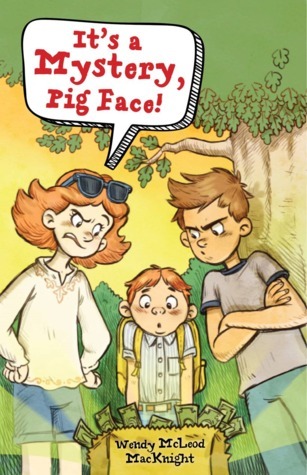 Tracy and her friend Ralph find a bag of money at the baseball field and they decide to hide it and figure out who it belongs to. Although Tracy doesn't want her brother tagging along, he becomes involved in their detective work. The trio finds out that solving a mystery has its challenges. This book tells the story of a fun and mysterious summer adventure of a group of neighborhood children, but it also has lessons about friendship and appreciating siblings. Thanks to the author, Wendy McLeod MacKnight, for sending me a copy of this book. Farah and her friends discover an unusual looking board game. When Farah's younger brother disappears into the board game, Farah and her friends must enter, as well, to rescue him. The board game brings the friends to a magical world where they are faced with a set of challenges. If they win the challenges they return home. If they don't, they are trapped there forever. This book is a page-turner, fast-paced and mysterious. The setting of the book is interesting, too, as the world of the board game is an imaginary Middle Eastern city. This is also a story about family and teamwork. Stella, who hasn't yet mastered English, feels different from the others in her class. She feels uncomfortable speaking in school unless it's to her friend Jenny. 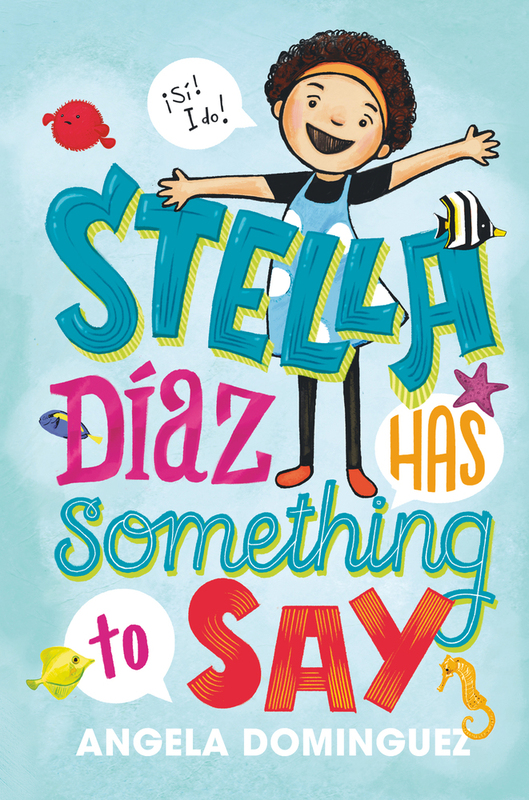 This book tells the story of Stella's struggle to fit in and find her voice. Stella's story is one that some students will be able to relate to and will help others empathize with those who may have a similar struggle. Stella shows that it's possible to overcome our fears and that it's okay to be oneself. The author's note at the end of the book explains that much of the story is based on her own life. This book publishes in January. Looking forward to Stella Diaz. THanks for the reminder! 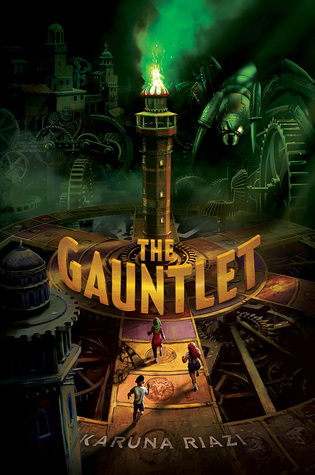 I still haven’t read It’s a Mystery Pigface and The Gauntlet even though they’ve been on my TBR list for a while. Stella Diaz sounds great. I like hearing about Stella Diaz, Lisa, hope more books about that challenge are written. It's a voice that needs to be heard. Thanks for all! 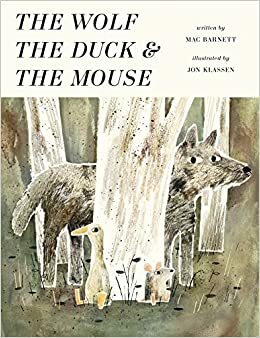 I should have read The Wolf, the Duck, and the Mouse while I was in Powell's books, since it isn't yet available at my local library. Really looking forward to Stella Diaz! I've ordered Malala's Magic Pencil from my library. Her story is so inspirational, I'm excited to see it in picture book form. Have a great week! A literacy coach was just asking us about new mystery series today. We will pass along this post - Thank You! 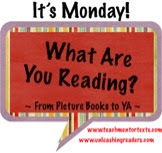 So many wonderful books on your list this week! I just picked up Malala at my library this weekend. I love the new Barnett-Klassen collaboration! It makes me laugh every time I read it! Stella Diaz, Gauntlet and Pig Face are all in my TBR piles! I'm really looking forward to reading Malala's Magic Pencil. I love reading all the books about her life. She is so inspiring.